Tiradentes Day is celebrated every 21rst of April. In Brazil it commemorates the execution of Brazilian national hero Joaquim Jose da Silva Xavier. Many Brazilians mourn for the great hero and celebrate how he died for the cause of liberty. This is a government holiday where the whole country gets to join in on the holiday. Joaquim Jose da Silva Xavier was a leader in the war for independence against Portugal, when the Portuguese decided to raise taxation on the colonists Xavier had the idea that the rebels declare independence on the day the taxation came into motion. 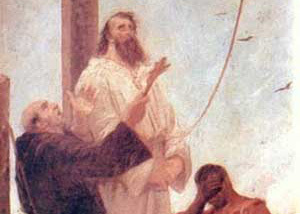 The plot was found out and the rebels were arrested and Joaquim Jose da Silva Xavier took full blame for the entire event leading to his execution.